Re-posting this for all of the new email and RSS subscribers. Welcome! I'll be adding to this as the questions keep coming in, so bookmark it so if you ever need to know a little more about Muffin Tin Monday or Muffin Tin Meals. What is a exactly is a Muffin Tin Meal? Pretty simple here. It's a meal, snack, or dessert served in a muffin tin. For Muffin Tin Mondays we make them for our kids, but anyone can have a muffin tin meal! A muffin tin is also known as a muffin pan, cupcake tin or cupcan pan and for our purposes here, we also use silicone and paper baking cups, pans and tins. What is Muffin Tin Monday? A weekly blog link up, every Monday where we get together and link up posts about the Muffin Tin Meal we make for our kids. Gimme the basics. How do I get started? A muffin tin + food is a you really need. To get ideas visit Another Lunch (the new home of Muffin Tin Monday or you browse other blogger's MTM submissions and browse the archives here at Muffin Tin Mom. A wonderful reader put together a post on squidoo about Muffin Tin Monday that shares product ideas and much more. Not sure if her links are affiliates, but I loved what she put together. This blog carnival originated (the summer of '08) with Katy over at Sycamore Stirrings. When she moved to Luxembourg, she passed it on to me (an avid participant at the time and now 4 year host). Katy originated Muffin Tin Meals on the Internet, and they have gained increasing recognition since this blog carnival has increased in popularity over the last 4 years. I hear that Dr. Sears has something similar, like a "nibble tray". That's awesome. He encourages "grazing" as a way to get picky eaters to eat more food. We don't use muffin tins for grazing, but respect Dr. Sears. I've also seen some blogs showcase an icecube tray. That's super cute too. I would love for you to participate in Muffin Tin Monday! As of January 2013, Melissa hosts it every Monday, at AnotherLunch.com. How old you children have to be? If they are eating finger foods, then they are ready for Muffin Tin Meals. However, I would advise to always cut the food up into toddler sized pieces and to wait until they can eat from a plate. Follow your pediatrician's guidelines in making your meal age appropriate for you kids. Many moms of toddlers say that their child loved it, but would turn over the muffin tin and dump all the contents out. As for an age maximum...My children are 9 and 8 and still love them, I give them bigger portion sizes. 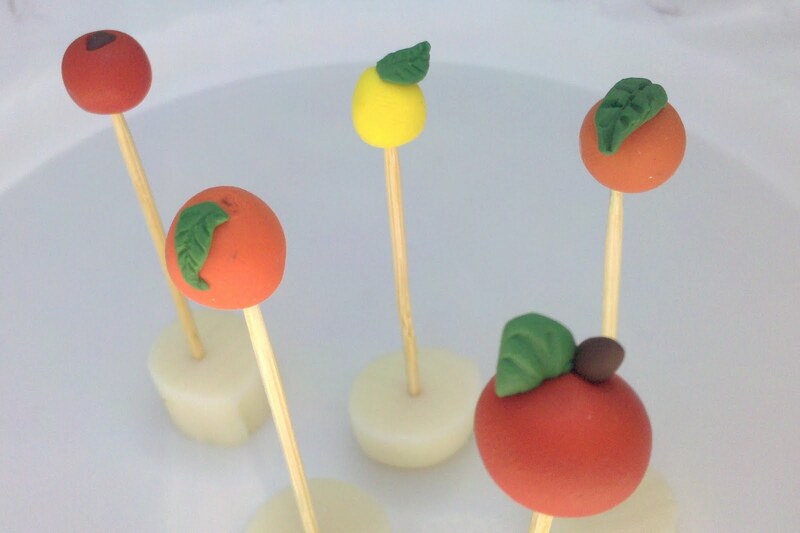 They are great for adults too for portion control, baked potato toppings and fondue toppings, etc. What is the purpose for Muffin Tin Meals? Serving a meal in a muffin tin to kids has many benefits including: breaking up the lunchtime routine, serving foods in smaller more manageable portions for little mouths and introducing them to new foods in a fun and interesting way! It's a win for you: They eat. It's a win for them: It's fun. I want to do a themed muffin tin, do you have a list of ideas? Sure do. The Muffin Tin Meal Theme Idea page and How to create your own themed muffin tin meal. Where can I find those super cute shaped tins,food picks, silicone pans and muffin cups? I must have them. Now. Michael's Arts and Crafts has a great supply of Wilton brand baking tins and cups. Wilton brand is a favorite of mine. They have quality products at affordable prices and they are available in stores. Ia lso love the Martha Stewart line of treat wrappers. 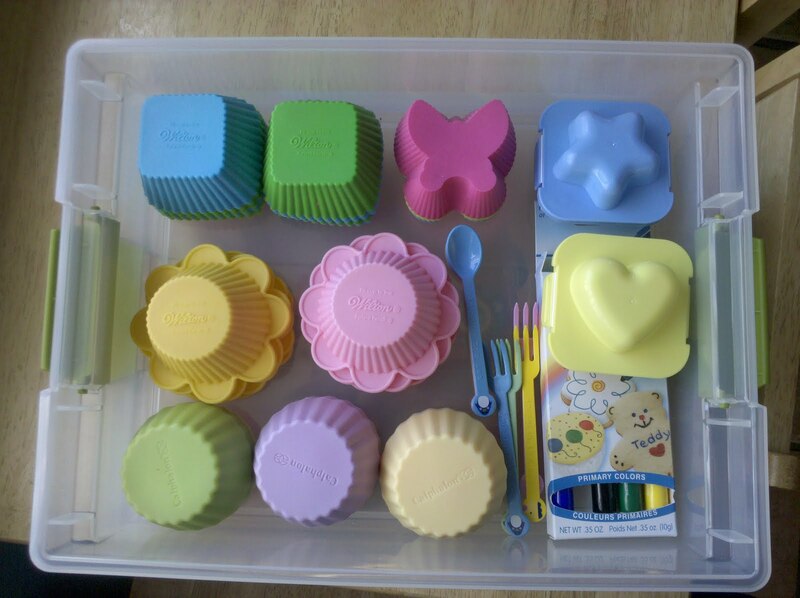 Japanese Bento Box Supplies work great for Muffin Tin Meals. Google "bento supplies" or you can search Amazon. Bake It Pretty is an online retailer of baking supplies that has adorable paper cups. Can't afford those options? I check local thrift stores all the time. I have found some great muffin tins at second hand stores. How do I store it all? I want to keep track of the muffin tins I did and the foods my kids like and don't like. 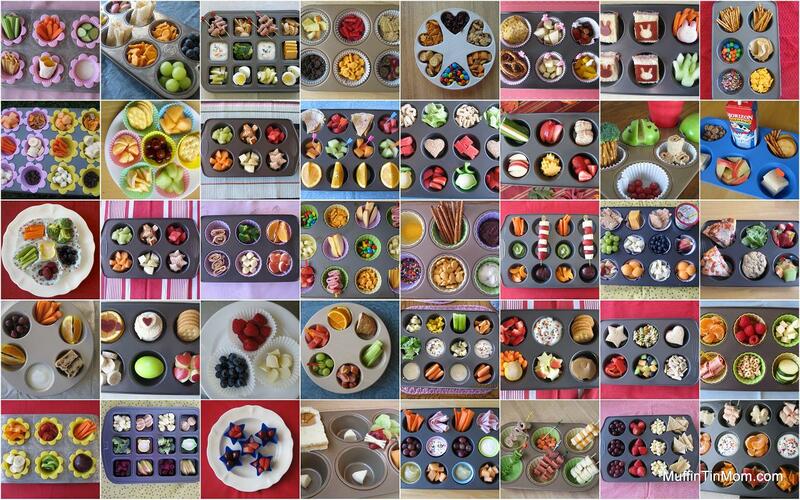 Do you have a Muffin Tin Meal planner? Sure Do. Emily from Second Story Window guest posted about MTM planning and you can download the free MTM planner page on her blog. this is so cute!!! My girls would really like this idea! This is such a great idea! I tried it and my four kids loved it. 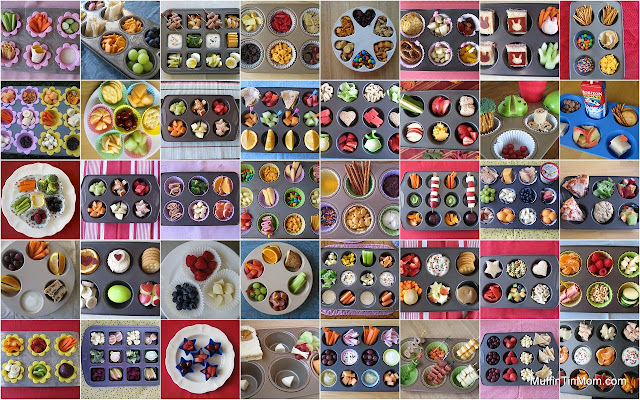 Now I want to do it on a regular basis but I would really like to get some cute muffin tins that would be dedicated to this (maybe even color coded for each child? -- a girl can dream!) Can anyone refer me somewhere to purchase cute tins? Or where did you find the pink, purple, blue & green muffin cups? Thanks! I get my muffin tins at Michael's in the cake decorating aisle and use the 40% off coupon to make it less expensive. Wilton makes fun shaped tins and the colored silicone cups. you can buy Wilton at Michaels, online, Taget, Walmart, etc. i totally need to get a muffin tin - or twenty - so i can play! I would love to link to your muffin tin idea FAQ page tomorrow on Ohdeedoh.com at 11 am. Please let me know if there's a problem! What a wonderful idea! I think I might just have to buy me - I mean the kids - some pretty muffin tins on this week's shopping trip. What a neat idea! We do a multi-family camping trip every summer, there are 14 kids, I think this would be a great, fun way to serve lunch! We love the brightly colored silicone cups but am looking for the silicone muffin tins. The cups can be purchased at Hobby Lobby but I think they were wilton products so anywhere they are sold. This page really made me smile. Thank you! Love the muffin tin theme of your blog - so unique! I plan to share this with my blogging class students as an example of taking your passion and blogging about it! Wow - cute site! I am getting hungry -- I gotta try some of these recipes with my girlfriends. I want to talk with you about an event we'd like to invite you to on June 15 in San Diego and product launch we're working on. If you could please email me that would be great!